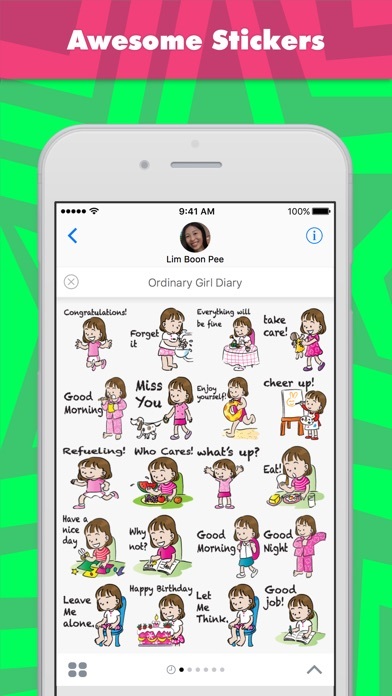 Ordinary Girl Diary This sticker pack is delivered to you by wenpei and MojiLaLa. 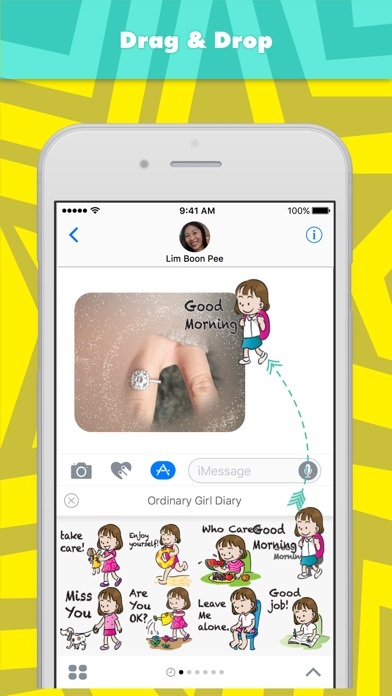 Ordinary Girl Diary stickers are designed by wenpei in Singapore and powered by MojiLaLa. 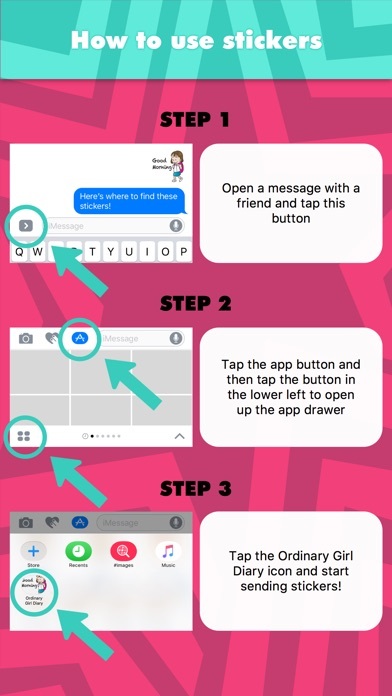 Package description from wenpei: Ordinary girl's encouragement ================================================================ MojiLaLa is an artsy sticker marketplace for every messaging conversation made from designers from all over the world. MojiLaLa gives you access to some of the most high-quality, unique and creative emojis developed to enhance your messaging and allow you to freely express yourself through every kind of expression and emotion. New original designs from your favorite artists are always being added, as well as local and trending topics in your community.